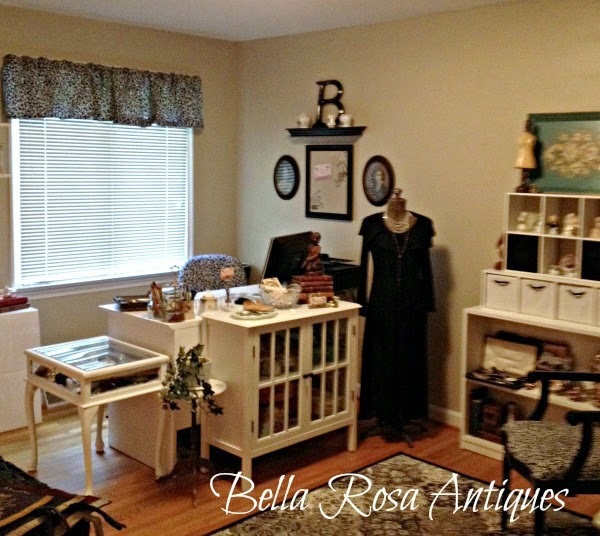 Bella Rosa Antiques: The Office Makeover: Getting Close! working on my office makeover. to be my craft studio. can't live in the same space. be crafty! And I've included Bebe. She was also very excited. inspired by a quick trip into Target. first photo? It was on clearance. went back to get it the next day. It is perfect in front of my desk. drawers to closets to cabinets, etc. I am showing some snippets. to be great! Today is gorgeous too! Pink Saturday, at How Sweet the Sound. That cabinet is awesome! What a great find and I would love to find one. Your room is looking good! Isn't it funny how one thing can set us into the mood to 'get things done'. I'm looking forward to the reveal! 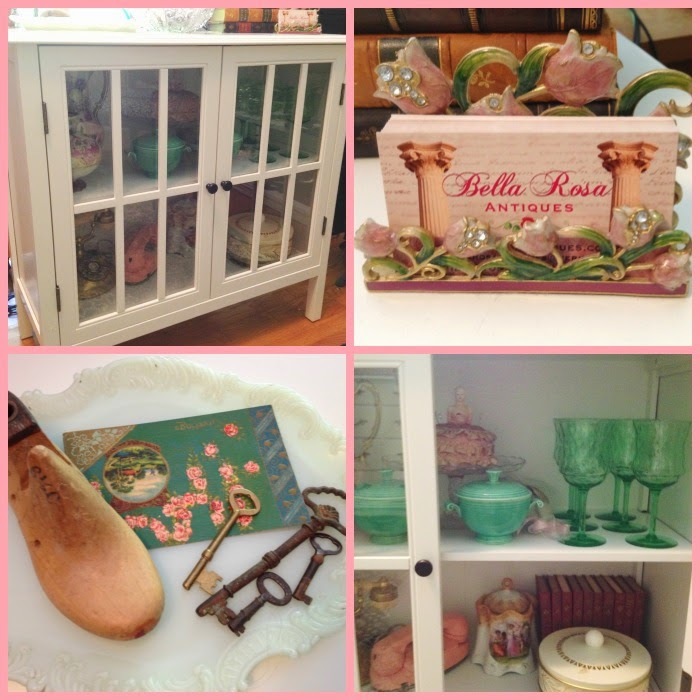 The white cabinet is perfect to showcase your shoppe treasures! Great job Jillian... 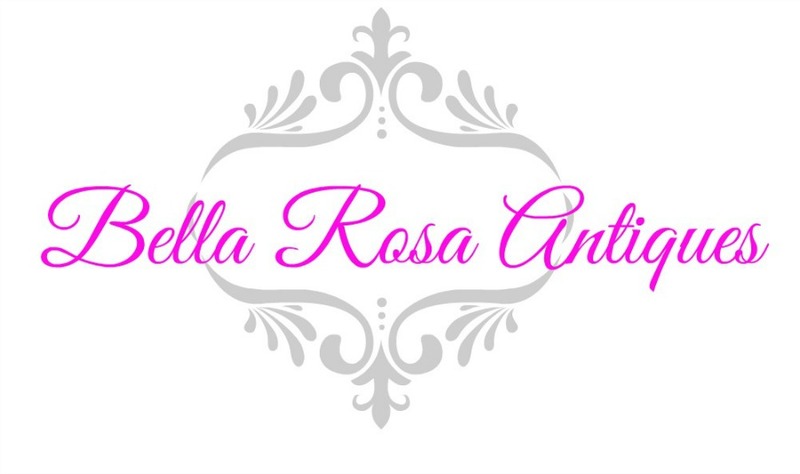 I love your business cards! What a great cabinet and even nicer when you find out it's on clearance. Love all the vintage goodies you filled it with. Everything works for the best when someone has such creative ideas. What a great space! I love that cabinet and how you've arranged the pieces in there. I have a glass door cabinet someone just gave me and I'm trying to decide if I want to keep it or sell it. LOL, the dilemma we always face, right? Great cabinet. I like Target. I find some nice stuff - and clearance just makes it better. How exciting! It all looks pretty! I love the old keys.